For my last installment (at least for this year), here’s one that made me dread bedtime for weeks afterward: Five Million Years to Earth, from 1967. That’s the American title, actually. It was originally released as Quatermass and the Pit, the third of the films involving Professor Bernard Quatermass. This time around, Quatermass is called in when construction workers in London unearth an ancient spaceship. Inside, they find dead insectoid Martians. But just because they’re dead doesn’t mean they can’t hurt you. Those accounts of hauntings in the area that go back hundreds of years? Not a coincidence. Holy Christ, did this terrify me as a youngster. Growing up Catholic, I had a deep-seated fear of Satan. So when a spectral devil’s head (it’s actually a Martian, but the resemblance is unmistakable and deliberate) appears in the night sky over London, causing nearly everyone who sees it to lose their minds and go on killing sprees . . . wow. That image is still burned on my brain. And if the melting faces at the end of Raiders of the Lost Ark were a little much for you to handle, then you might want to look away when the spaceship starts glowing. Like every other film I’ve profiled in this little series, Five Million Years to Earth works because it takes itself seriously. It never goes for camp; it never tries to be funny. (Memo to Hollywood: Are we detecting a pattern here? Just maybe?) And even though it involves Martians, it somehow manages not to seem stale or dated. Compare that to 2000’s Mission to Mars, obsolete when it rolled off the assembly line. Actually, let’s just forget Mission to Mars ever existed, and cue up Five Million Years to Earth (AKA Quatermass and the Pit) tonight. I hope you’ve enjoyed these little fright film discussions. Maybe I’ll do some more next October. Happy Halloween, all! Werewolves got a serious makeover in 1981 with the release of two films: An American Werewolf in London and the vastly superior The Howling, directed by Joe Dante. A few years prior to being Elliott’s mom in E.T., Dee Wallace played a television reporter who is attacked by a serial killer and then, while recovering from that trauma, sent to a secluded colony in the woods, where she is attacked by werewolves. The Universal classic The Wolf Man, starring Lon Chaney, Jr., had pretty much defined the werewolf look in the movies. But I never found old Wolfie very frightening, to be honest. In fact, he was kind of . . . cuddly. He certainly never looked anything like a wolf. Then came the slavering, snarling beasts of The Howling. Those things were scary. The only thing remotely human about them was the fact that they walked upright. You saw one of them coming, you ran. An American Werewolf in London was the bigger hit, of course, but suffers in comparison to The Howling. Both films featured harrowing and heretofore unprecedented transformation sequences. Both had touches of sly humor. But where American Werewolf contented itself to be merely clever, The Howling–literally and figuratively–went for the throat. One shouldn’t be surprised to see that John Sayles had a hand in the terrific script. The film does make a crucial misstep at the end, throwing in a “cute” werewolf of the Chaney variety, but we can forgive that. What you won’t forget is the utterly helpless feeling of being alone in the woods, chased by monsters who want nothing more than to rip you limb from limb. Even the most passionate dog lover in the world might look askance at precious Fido after this one. Our next entry comes from Canada: 1980’s The Changeling, starring George C. Scott as a grieving composer who moves into a big old house only to discover that he’s not alone in it. The film is both ghost story and murder mystery, and features plenty of haunting moments. If you still think horror movies require a lot of gore and ghastly special effects, The Changeling is your homework assignment. You’ll see just how creepy simplicity can be. To wit: a child’s ball bouncing down a flight of stairs. A relentless pounding that resounds throughout the house. A cobweb-covered wheelchair that moves by itself. 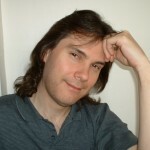 Writer Russell Hunter allegedly based the story on true events. For myself, I couldn’t care less; it’s a distraction from a script (by William Gray and Diana Maddox) that at first frightens and then fascinates, as Scott delves into a decades-old mystery involving a crippled boy and a powerful senator. Tack onto this some quality performances from Trish Van Devere, Melvyn Douglas, and the ever-reliable Scott, and you have a haunted house story that makes The Amityville Horror (another “true story”) look like the hackwork it really is. Oh, and did I mention the music box? And the bathtub? And the well? And the necklace? Trust me on this: leave Amityville back in Long Island, and check out The Changeling instead.